We hear it said time and time again – “location, location, location” is what matters when it comes to real estate. And, unsurprisingly, this adage is true – how your home is located, and what it’s located near to, is something that can’t be understated. But the truth behind why location is important is a bit more complicated than the oft-use adage lets on. Let’s unpack what it really means and how it affects your property’s value. How does geography affect my home’s value? Firstly, look up your address on Google maps and zoom out until you can see all of Australia. 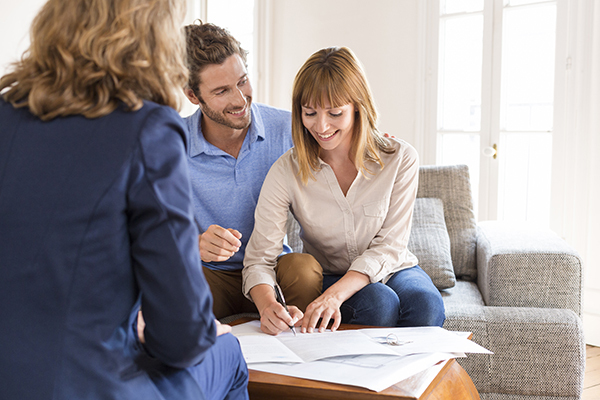 The states and territories that make up the country have their own individual cycles that impact property prices and how much a home will sell for. If you picked up your home in Melbourne right now and put it into Perth, you’d likely find the house price going backwards and priced at a vastly different level when you went to sell. All that was different was the geography. If you zoom back in towards Melbourne, you will find many different suburbs and local government areas. While it’s more likely the homes in these areas will be closer in price and on a similar property cycle to yours, you’ll still find differences if you moved your home. Some of this is due to the desirability of your suburb and what else is available in the area. Tightly held areas with attractive features, regardless of the style of home, are always in high demand. Markets tend to boom together, so investors who bought poorly in a booming market are still likely to do better than those who bought well in a slow or falling market. The underlying tide does tend to lift most ships, so bear this in mind when choosing where to buy. Remember: You can change the property, but you can’t change its location. Is it a “good” street in the neighbourhood? While the market you’re located in has an impact, so does the location of your home within the area and its amenities. This is all about proximity, and you’ll often see real estate agents boasting a home is “five minutes from a train station”. This is because being close to desirable features, such as transport, the waterfront, shops and cafes, is attractive to the majority of people. Yet it’s not as simple as wanting to be as close to the action as possible. There is a point where you’re too close. While there isn’t a hard and fast rule, the majority of home owners and buyers know that you want to be close to a station “but not too close” to reap the benefits but not the negatives. The difference between walking distance, driving distance and being ‘next door’ to an amenity can be striking when it comes to real estate prices. Being near a main road, for instance, can be seen as a positive to those who want an easy commute. But being located on the main, busy road may be a turn off. Much of this is to do with perception, but it’s also to do with practical, sensory concerns. Melbourne-based buyer’s agency Secret Agent undertook research comparing Melbourne properties’ sale prices to see how they would be impacted by busy roads. They found those on a noisy street had their sale prices reduced by 7% on average, while those located at homes that could hear rail noise sold for 5.7% less. Our recommendation is that walking-distance to a desirable amenity is ideal, but you don’t often want to be on the same section of the street as the school, train or shopping centre. If you’re considering buying, get out and walk the street yourself between the amenity and the home to get a sense for exactly what the impact of the distance is on the home. You might be surprised. Remember: The difference between close and “too close” is a fine line.